One thing I like about visiting different markets is that they are all unique; they all sell perishable commodities from varied suppliers but there will always be a few stallholders distinctive to each market. The Village Markets brought the Stones Corner Market to us last year and it was such a hit, that they are bringing it back again on Sunday 31st March 2019. From 9.00am until 2.00pm there will be over ninety boutique market stalls lining the leafy Logan Road selling fashion, vintage, art and design, pre-loved Rack Sales, street eats, entertainment and live music for your enjoyment and purchase. Do not forget to pick up your TVM Good Vibes Market Tote or T-shirt at the TVM information stall and be sure to tag photographs you take on the day to #thevillagemarkets. 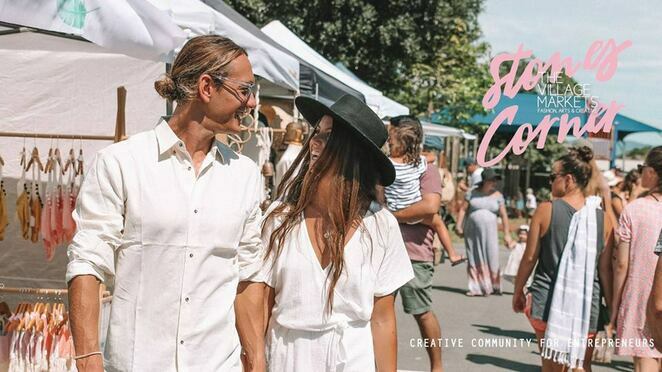 TVM is a collaborative, creative community of small businesses, designers, artists, creatives, foodies, musicians who combine every month at the Burleigh Heads State School and now incorporating Stones Corner into their good-vibes markets. The Village Markets® (TVM) was founded in 2008 with the intention of providing a platform for talented local artists to showcase all their creative works. This will be a great event, so grab your friends and head down to Stones Corner on 31st March.